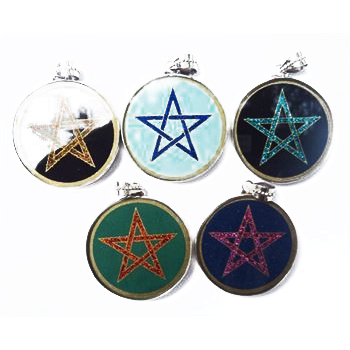 In medieval Christian tradition, the pentagram could represent the five wounds of Jesus. In the Renaissance it came to be associated with magic and occultism, and is also found as a magic symbol in the folklore of early modern Germany (Drudenfuss). In modern use, it is sometimes used as representing the Seal of Solomon, and it has religious significance in various new religious movements (including certain forms of Neopaganism) as well as in occultism.